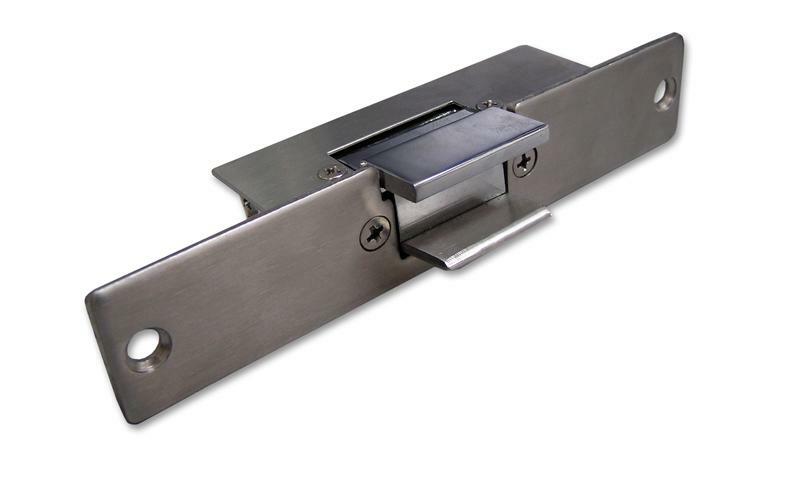 The Sentry Electronics Labs Glass Door Electric Strike is designed for use with electronic panic exit bars. Many other electric strikes are not compatible with glass doors, so this electric strike provides property owners with that option. It is suitable for glass doors with a thickness of no more than 12 mm, and should not be used with glass doors with frames. Moreover, it is reliable for a wide variety of environments with an operational temperature range of -104 F to 122 F and humidity of 10% to 90%.